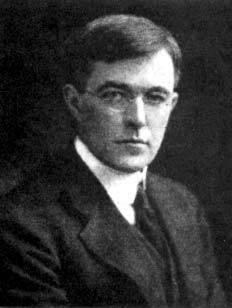 One of my all time heroes is Irving Langmuir, Chemist and Physicist. Langmuir has acted as a role model for me in understanding the role of the scientist in manufacturing science. His initial contributions to science came from his study of light bulbs for his employer General Electric. His first major development was the invention of the vacuum diffusion pump. When he started with GE, the life of light bulbs was limited as the tungsten filaments were oxidised due to the residual air in the bulbs. It was believed that a better vacuum was the answer. However, Langmuir proposed a solution using inert gas, not a better vacuum and was successful in prolonging the life of bulbs. He invented both a better vacuum pump and proposed that using an inert gas would remove the need for the better pump. Not only did he solve the problem as expected, he also thought outside the box and came up with a better, more practical solution that was cheaper to implement. A scientist who understood the commercial implications of his discoveries. Some of discoveries were simple from a physics point of view but improved the product that he worked on such as twisting the filament into a coil to improve its efficiency. He was the first scientists to coin the name Plasma to describe the collective behaviour of ionised gases at low pressure. Langmuir introduced the concept of electron temperature and in 1924 invented the electrostatic probe, now called the Langmuir probe. A mere 64 years later, I made a small contribution to the field by publishing the first design of a fully automated Langmuir probe. Which has since become a standard plasma diagnostic. Not content with his contribution to Plasma, Vacuum, Chemistry and Surface Science, in later life he turned his attentions to a study of the weather. He was the first to successfully seed a cloud and produce rain. In 1953, Langmuir coined the term “pathological science”, describing research conducted with accordance to the scientific method, but tainted by unconscious bias or subjective effects. We could very much use the services of an elder statesman to police our modern scientists in the current age of rapid publication and spurious claims where bad science is all too evident.